What is ACTP or ICF Accredited coach training program? ICF ACTP or ICF accredited coach training program are all inclusive and fully approved accredited coaching certification training program. Coaches who take our professional coach certification course under ACTP means they complete ICF certification requirement of coach training hours and mentoring as part of our program. Coaches under ACTP training program do not need to complete portions of course with multiple coach training institutes or with any mentor. ACTP training program also includes performance evaluation which means as part of the program students will undergo final performance evaluation with Coach Transformation Academy. The final performance evaluation of ACTP is screened by ICF and approved for coach transformation academy therefore coaches enrolled for this program are evaluated for final performance by Coach Transformation Academy and certified as Professional coach. ACTP stands for Accredited Coach Training Program. ACTP is a pathway which is followed by ICF approved coach training institutes to conduct programs under it. If any coach training institute is an ACTP approved they can conduct all the three levels of ICF like ACC (Associate Certified Coach), PCC (Professional Certified Coach) and MCC (Master Certified Coach) however if any organization is only an ACSTH (approved Coach Specific Training Hours) approved is allowed to conduct ACC level only. Well, when it comes to start your coaching career, you must have a clear goal and vision behind learning coaching. If you are an aspiring professional coach and want to start your career in coaching from ACC level to PCC or MCC level, you must keep it in mind that with which coach training institute you want to complete your coaching journey. If you are undergoing ACC with an ACSTH approved institute, you cannot continue learning with the same institute, in order to take your coaching learning to next level, you have to find another ACTP approved institute to continue your coaching learning to advanced level. So, is ACTP better to go with? Yes, if you are an aspiring professional coach and want to learn coaching at a professional level or want to start your career in coaching, ACTP is the right pathway to choose to go with. ICF accredited coach training program will also help you to start your career quickly than an Approved Coach Specific Training Hours (ACSTH) pathway. Your final performance evaluator will be your coach training institute itself, you don’t have to attempt the final test conducted by ICF but conducted by your training provider. What are the requirements for ACTP pathway? Complete 125 hours of coach training. Complete minimum 10 hours of mentor coaching. Acquire 500 hours of coaching experience. 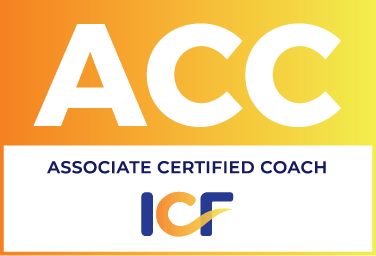 As an ACTP Accredited Coach Training program approved coach training institute, Coach Transformation Academy fulfills all of the ICF’s training requirements and supports you through the entire ICF credentialing application process through ACTP pathway. What are the Advantages of ACTP Pathway? There are a lot more advantages of the ACTP program. Would you like to explore more advantages of the ACTP program? Please click here. As a leading organization in the business, we are always happy to help you understand more about it and answer all your queries. So, getting in touch with our team professional will help you more than reading it online. Why should you join ACTP program? All inclusive courses from training to final evaluation. Flexibility to apply for ACC or PCC, depending upon coaching experience. Please click here to contact us if you have more questions about it or click here to fill the registration form online. ICF offers three credentials: Associate, Professional and Master Certified Coach.